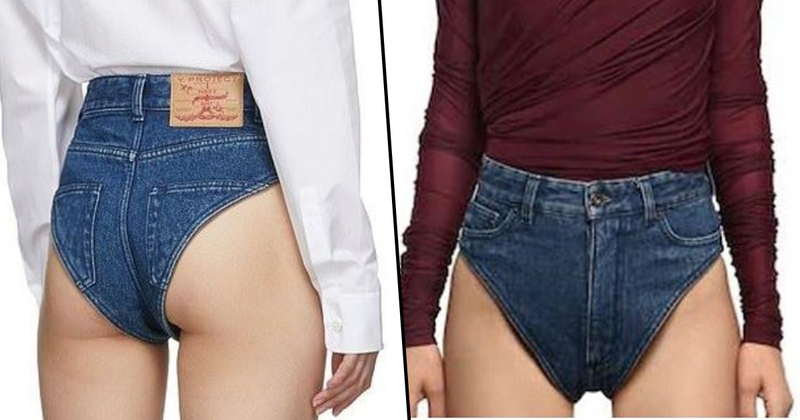 A pair of denim hot pants exists and you’d better believe they’re as horrifying as you can probably imagine. They’re not just hot pants though, they’re effectively a pair of denim knickers that people are wearing and let’s just say they cost a lot more than the average pair of Topshop three for £10’s. Disclaimer: I call trousers pants so when I first saw this headline I was all like, ‘erm, jeans already exist. What’s the big deal?’ But now I’ve seen this monstrosity and it can never be unseen. I mean, I did warn you. What even are they?! The pants, created by Parisian label Y Project and so are clearly designer, have a high-waist, zip front and a button at the waistband. Y’know, just like jeans. Except they’re about a tenth of the size of jeans so when you wear them, your bum is fully on show. Like, fully. And if you think you’ll be able to grab a pair for less than £10, think again because these beauties (sarcasm, obviously) cost a massive £235. Who is paying that much for them?! A photo of the knickers featured on an Instagram post by e-store SSENSE, a Canadian retailer which is currently selling the fashion item, and went viral shortly after being posted. For all the wrong reasons, of course. 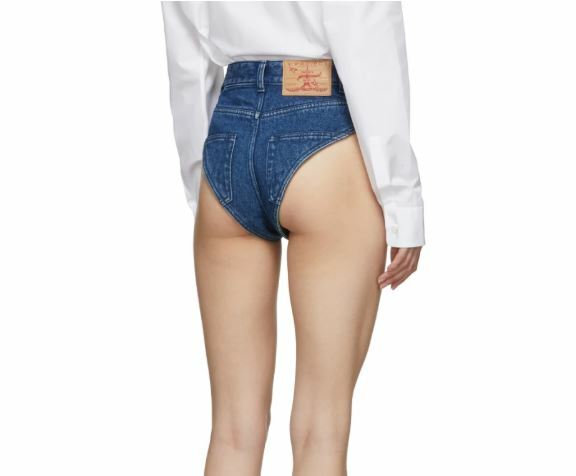 The store captioned the image ‘Two words: Denim undies’, which one person immediately responded with, ‘two words: f*ck no’. I feel ya. Others took a leaf from Ariana Grande’s book and simply replied with ‘thank you, next’ while another compared the look to a nappy. So, not the most desirable pair of pants then… Although one person did point out that these kind of pants are ‘good for Beyoncé, Rihanna and Gaga but pretty much no one else’. Which, y’know, is very true. 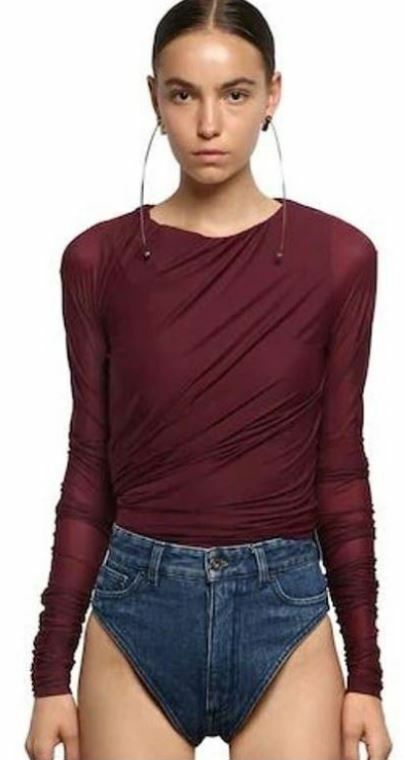 I can’t work out if the pants are supposed to be worn underneath your normal clothes or not, but the models seem to be wearing them with heels – so I’d have to guess no. Even if they looked like something I’d want to wear (which they definitely don’t), they just don’t look comfy in the slightest. As one person on Instagram sarcastically pointed out, ‘chafing is great’. Sorry Y Project, but it’s going to have to be a hard pass from me on this one.